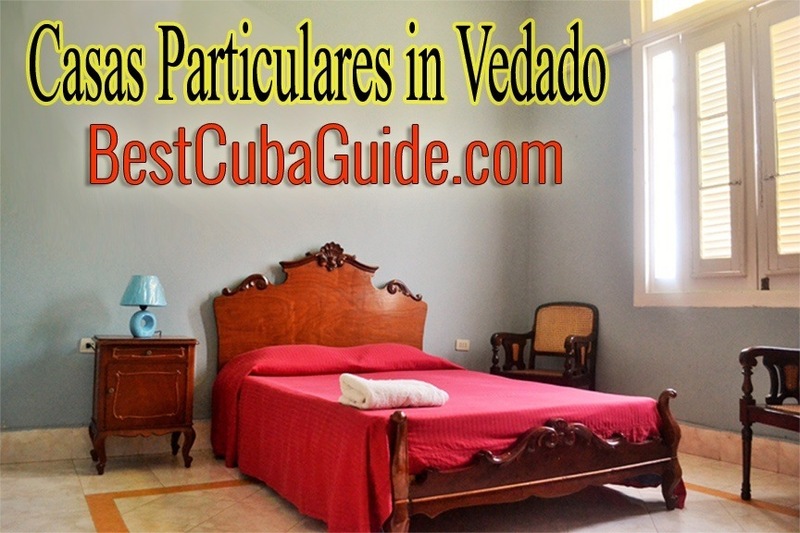 If you are planning to rent a casa particular in Havana, then I 100% recommend that you stay in Vedado versus Old Havana. It’s not even a question, in my mind. If you want a large, well maintained casa and a quiet sleep at night, then a casa particular in Vedado is the way to go. I can assure you that these things are easily found in most casas particulares in Vedado, while almost impossible to encounter in Old Havana. The city of Havana is not very large. If you wanted to walk from your casa in Vedado, all the way to Old Havana, it would probably take you about 35 minutes (walking slowly). It’s not close, but it is walking distance and people walk this route all the time. It’s about 2.5 to 3 kms. If you take a taxi, the ride would take about 7 minutes. The going rate for a yellow, state taxi would be 3cuc for this trip. (Never ask the driver how much it costs, just approach a taxi and tell him “3cuc to go to the Capitolio”). If you were to take a communal taxi (highly recommended, because it is a unique and fun experience), the cost would be 10 pesos (Moneda Nacional) per person, so about 50 cents USD. With this in mind, you can very easily travel from Vedado to Old Havana without almost any planing at all. A lot of Havana’s nightlife is in Vedado. That is where the popular bars and clubs are. Locals, even if they live in other parts of the city, will usually hang out in Vedado. There are some major bars in Old Havana, but these will usually attract foreigners exclusively. Don’t get me wrong, Old Havana is an amazing place, but most people would likely say it is a great place to visit, but not a great place to live in. So, you might spend a few days walking around the cobblestone streets of Old Havana, but you will be happy to have a nice, quiet apartment in Vedado waiting for you at the end of the day. The apartments in Old Havana are typically small and really tight to their neighbors. This was the first area of Havana to be constructed and one of the poorest. You can find nice places if you search hard, but in general, the casas are not great. The casas in Vedado are usually large and they are not as tightly packed. You still get the old world charm you expect from Havana, but you are living in a large, clean, quiet place. In Vedado, the easiest nighttime entertainment is going down to the Malecon (waterfront), near the corner of 23rd street. This area will be packed with Cubans on a hot night, especially on the weekend. 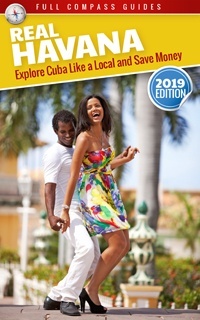 It’s free and fun, so for a Cuban with little money, this is the ideal place. The people will be drinking, talking, dancing and playing music as the cool ocean breeze refreshes the air. While you are in Havana, you will surely enjoy a nice evening in this area, just relaxing and taking in the atmosphere. What About a Casa Particular in Central Havana? For actually experiencing Cuba’s music and culture, you will love Central Havana. It might be the most fundamentally Cuban neighborhood in Havana. It’s between Vedado and Old Havana, so if you are in Havana for a few days, you will surely get to know this area. It’s about 15 minutes walking from Vedado. In this area, you will hear music streaming out of apartment windows day and night. The kids play stick ball in the street all afternoon. It’s a lively area that never seems to sleep. It’s mostly local, with few tourists. The main drawbacks to renting a casa particular in this area is that it is a very poor neighborhood. Crime is higher in Central Havana than in the Old Havana or Vedado. Furthermore, there are not as many casas particulares, restaurants or bars in Central Havana as in Vedado. Lastly, most of the casas are small and not private. It’s a very busy neighborhood with lots of traffic, smog and noise. A great place to visit, but hectic to live in. The location of the casa particular you are considering renting is very important. But, just as important is what you plan to do in your casa particular. If you are planning to have parties or guests over you should confirm that this will not be a problem at the casa particular you have chosen. Most casas permit local guests to come over. Sometimes these guests will be required to sign a guestlist or show identification. You casa landlord does this for your safety, and in general it is not a major issue. If you have plans to have a large party in your casa particular or want to invite many locals as guests on a consistent basis, then you should confirm that the landlord is ok with this before making a reservation. 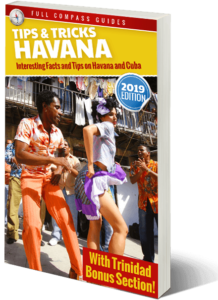 Sometimes foreigners come to Havana for wild birthday parties or bachelor parties. In this case, it is important to choose a host who will give you maximum freedom. Simply mention this when you reserve your casa particular and you will avoid any surprises. If the goal is more to relax and maybe have a guest over a few times without anything major, then it will usually not be an issue at most casas particulares. Check out the Best Casas Particulares in Vedado. Reserve your casa online, now!